At Shell, we develop transport fuels and lubricants that can help motorists to reduce their fuel consumption and improve engine efficiency for vehicles. This can help to reduce the environmental impact of transportation as the number of vehicles is expected to grow significantly in the coming decades. Shell supplies fuel to millions of drivers every day. More than 340 scientists and engineers work full-time on researching and developing more efficient lubricants and fuels. Shell designs systems and programmes to inform its customers about how to use fuel more efficiently. We have a range of more efficient regular priced fuels called Shell FuelSave Diesel and Shell FuelSave Unleaded petrol. They are designed to help motorists save fuel by improving combustion in the engine and reducing energy loss. These fuels are now available in 20 markets across Asia, Africa and Europe. We are also continuing our development in gas for transport (see “Liquefied natural gas”) and biofuels. Our approach to energy efficiency includes helping customers to change driving behaviour. The Shell FuelSave global campaign aims to help 1 million motorists drive more efficiently, save fuel and reduce the cost of motoring. 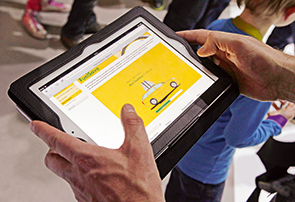 Launched in 2012, the Shell FuelSave Target One Million programme equips motorists with new skills and car-care tips through a series of interactive, online games. Over 400,000 motorists across 18 countries had taken part by the end of 2013. We also help the commercial road transport sector to reduce fuel consumption. Shell FuelSave Partner is a system developed for fleet operators which uses onboard electronic technology to monitor their drivers’ fuel use and driving habits. The system transmits data to transport companies which can improve their overall fleet performance as well as provide specific tips for drivers on techniques to reduce fuel consumption. Around 10,000 commercial vehicles are signed up to the programme and several new features were introduced in 2013 that improve communication between drivers and fleet managers. We work with vehicle manufacturers to develop and test new fuel and product technologies. This includes working with top motorsport teams, like Ferrari, to develop more efficient lubricants and fuels. Our technical partnership with Ferrari allows us to transfer proven innovations from the racetrack to our commercial products. The partnership led to the development of Shell Helix Ultra, a synthetic motor oil formulated to clean and protect car engines, and Shell V-Power performance fuel. Our Shell Rimula range of heavy-duty engine oils was developed with leading engine makers, including a product developed with Daimler. The oils help truck, bus and coach companies improve the fuel economy of their fleets and protects the vehicles’ engines. This also extends the intervals between the need to service the vehicles. Many ship operators seek to reduce the fuel consumption of their ships through slow sailing. However, this can add to the stress on engines. We have developed a cylinder oil for ships, called Shell Alexia S4, which protects engines moving at all speeds and in various shipping conditions. Since its introduction in 2012, Shell Alexia S4 has been used for more than 18 million hours of safe and efficient operations in more than 3,400 vessels.